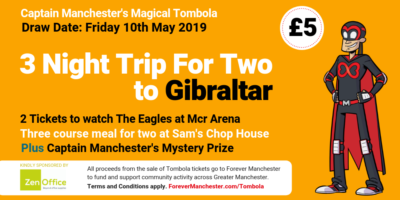 We’re all abuzz here at Forever Manchester about the upcoming exhibition that Ambassador Duane Cormell from Realm Recruit and local artist James Chapman have brought together to help raise funds for communities across Greater Manchester. Come along to an exclusive exhibition on Thursday 10th November at The Fitzgerald, a speakeasy jazz venue based in the Northern Quarter. This is a “first look” exhibition of these Manc-inspired works which you’ll be able to view from 6pm to 9pm – and the first 50 people will receive a welcome drink of Manchester Gin. RSVP to this free event through the widget below or here on Eventbrite. 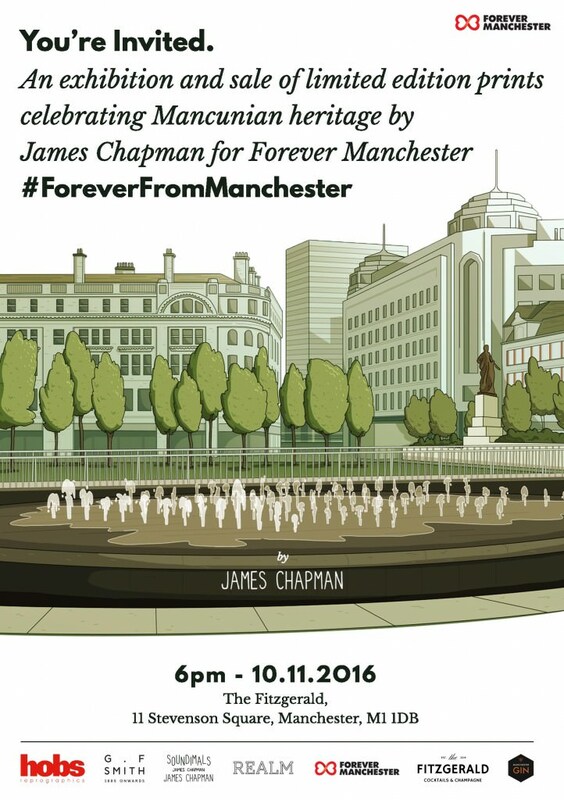 A big Forever Manchester thank you to the companies that have helped this project come to life: Realm Recruit, Soundimals, G. F. Smith, Hobs Reprographics, The Fitzgerald and Manchester Gin.